I'm at Moab Utah, small place so unlikely anyone is from here, but I'll be at Las Vegas in a couple of days. Or if anyone has one to sell. Z cam image looks lik e crap. Similar to mlv app at max chroma blur. Thanks a lot. I will see if I can find a way to convert that to a matrix. Hope I'm not spoiling the surprise. But, according to Walter Arrighetti, AP0 is mostly used for archival of footage, while AP1 is the one used for color grading (normally ACEScct). Looking foward to version 1.7! It's still not very clear to me what path I'll choose - in any case, it has to be one that all other developers are OK with. For now, I'm welcoming your suggestions! I can't speak for everyone, but I support any of the ideas you mentioned. I am sure I have said this before, my idea was a Magic Lantern page on Patreon (or an alternative), that way it's easy for people to do recurring donations. Also because Magic Lantern has helped me a lot , MLVApp too , I have started to search to a Cuda programmers for making MLVApp GPU Accelerated. You mean you are looking for someone (who knows how) to help make MLV App GPU accelerated with CUDA? I have actually had an idea for some time on how to do this. 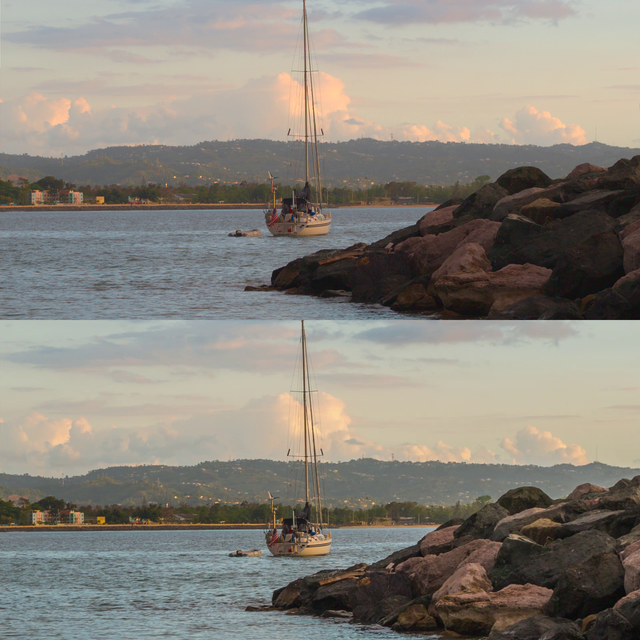 My idea: convert the whole processing, excluding black/white level/shadow/highlight/denoising things, to a single LUT. All processing would then be done with an OpenGL fragment shader (with the help of that LUT to make much of it extra simple and fast). I've been wanting to do this for ages, but I don't have the time. Thanks for all the efforts in this project. MLVApp is amazing. I use it in every production to convert MLV to ProRes in Log-C.
A higher color space is the only thing holding me from using MLVApp exclusively to process MLV files. It would be great if you actually achieve that. Is there any specific problem you can't solve? Would having chroma blur only for dark areas help ? Is it currentlyu for entire image , darks,mids and highs ? It is currently for the entire image. Are you able to compile the app? as @masc has added really really good denoising that you could try, it can do what chroma blur does without ruining colour at edges. I think some progress may have been made with this since last release. @Jonit thanks for the comparisons! Ok then this issue will need some more work. Maybe wait until I add a white balance slider. 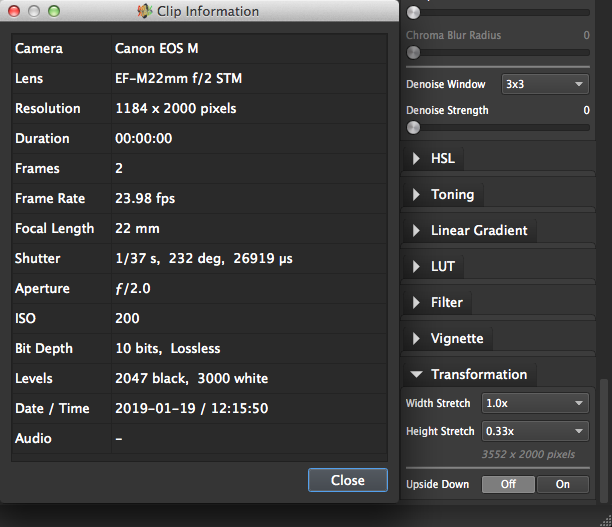 Took me about an hour to fiddle with the sliders and curves to match it relatively close to that MLVRawViewer C-Log . Can you please elaborate a bit on this statement? I'm not very knowledgeable in that area so would be cool to understand a bit more . Thanks! Well, MLV App's C-Log doesn't use the C-Log gamut yet, it only matches the C-Log log curve. Proper log profiles are coming with the colour space improvements mentioned earlier. My assumption was based on how similar they look... so it's possible that only MLV App is wrong, or both are wrong in different ways. Maybe @andy600 about if MLRV does log colour right? I don't know if this is too much ask, but could you make a direct comparison of MLV App and MLRawViewer in C log and rec709? I just want to see how different they look... also see if unchecking use camera matrix in MLV App brings them closer or anything. Andy600, we missed you and colorspace discussions . Ilia3101 been working on aces transform for a while. Seems hard. Idk if what I'm doing is an 'aces transform' - the main goal is just to use a bigger gamut for processing. I am also considering ProPhoto RGB, it seems like the primaries on that colour space may be more close to our perception of 'red' 'green' and 'blue' so it would be better for RGB curves and things like that. @Jonit This is due to how white balancing is done before debayering, MLRawViewer seems to do it better for that shot. Could you see if MLV App 1.4 is different or better please? there was a small change made between the two in debayer white balance, that improved things, but sometimes didn't. I want to add an option for debayer white balance, hopefully that will fix your issue. Thanks it does clear stuff up. Then could we just have the code for the build that can do 3008x1080 resolution? Last time I checked, the uploaded code was the 2880x1080 version. No bug. metadata has to be set in code, so where´s the code? @reddeercity if you released code when you come up with more changes, all of your presets would be added to the menu by now, and the camera would set stretch metadata correctly. Danne is very keen on helping. I appreciate that you have the original code uploaded, but it's important to have modified newer versions too. I now implemented a label which shows what you'll get. Tip: if you set metadata in camera correctly, MLVApp shows the right AR automatically, and you also can fast export to DNG with correct AR. Adobe programs show correct AR out of the box then. How large is the crop factor? I love the high resolution 5x stuff but the closer we can get to full frame with higher rez is obviously desirable. @reddeercity, I know you have been increasing the width mostly, but would it be possible to increase the height and ignore width? something like a 2000x1500 preset for example, instead of 3008x1080. It would be nice for anamorphic lenses or people who just enjoy aspect ratios. Thanks, actually looks much better than I expected! Can't say it's sharper than the 3008x1080 preset, but close, will be useful as it has less crop factor. but got no response . But now back to your request: 3.0x horizontal stretch is there since v1.5. If the file has the right metadata the setup works automatically. If not, you have to setup height stretch factor to 0.33x. MLVApp always upsamples since v1.5, so a height stretch factor of 0.33x is realized as width stretch factor of 3.0x. In older versions you can do this manually for ffmpeg export by entering your desired output resolution (frame is stretched once only on export, so no quality loss). Maybe we should add a information label somewhere, which shows the resolution after stretching. Basically do this: set the vertical stretch factor to 0.33x in Transformation section, and MLV App will upsample horizontally by 3x. I will admit that is confusing. @masc could we make it nicer and have it as horizontal 3.0x? Or even allow the user to enter custom value? But it should be compared to the original '3.5K' preset (3008x1080), to make sure it actually gives a more detailed image. I'm still uncertain about 3x squeeze. Can we see some samples maybe? Share Your Videos / Re: Some quick mostly macro b-roll footage from 5D Mk iii. ML Raw is great! Hi yes I agree its a upside with raw, but I talk more specifically between ML raw and Canon RAW or ArriRAW were every profile you see has been carefully made for that sensor or when the sensor has been made for that profile. I would say that its more the characteristics of color of the sensor that matter more then whats emedded in the raw file. Otherwise BMD, Canon C200 raw, ArriAlexa or Red would use the same color profiles and settings when shooting raw and in postprocessing? This way of thinking implies photographers have worse colour management as it is mainly based on using a colour matrix to convert camera gamut to XYZ or whatever software has internally, and from what I've seen raw files from different cameras look very similar when opened in raw converters so I think it's actually accurate. Can't remember the technical word for it though.